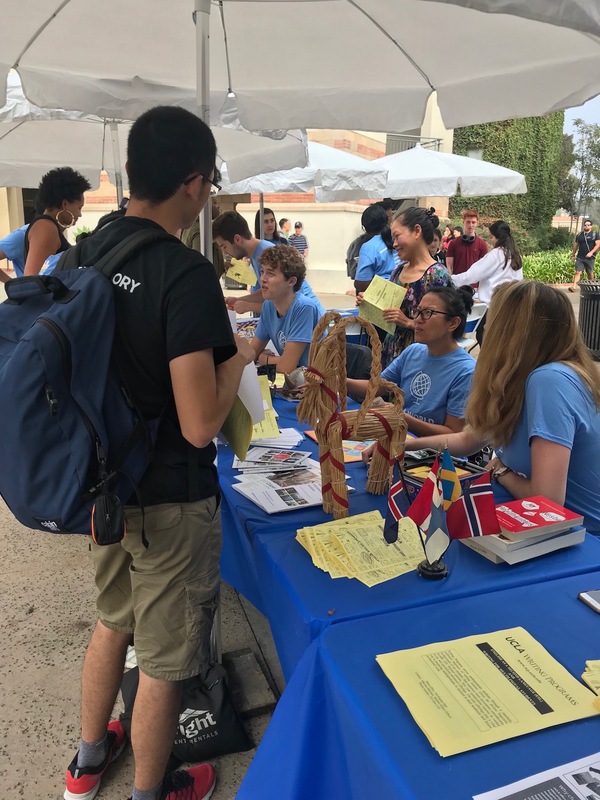 The Humanities Division at UCLA hosted their annual World Languages Day in Bruin Plaza on September 28, 2018. This year, the program was sponsored by the College of Letters and Science, Division of Humanities; the Department of French & Francophone Studies; the Department of Germanic Languages; the Department of Slavic, Eastern European & Eurasian Languages & Cultures; and the Department of Near Eastern Languages & Cultures. 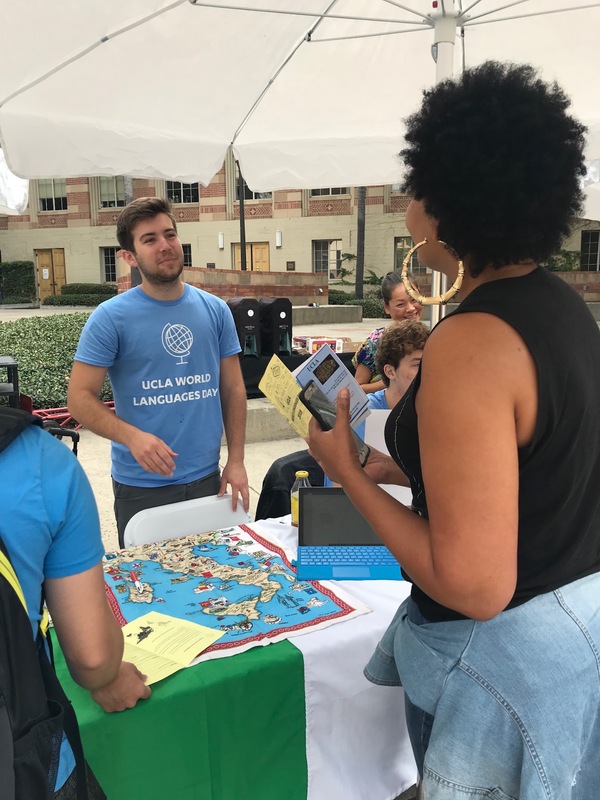 Thanks to the hard work and dedication of the departments, professors and students who plan World Languages Day annually, UCLA undergraduates are able to immerse themselves in more than 40 diverse languages offered at UCLA.